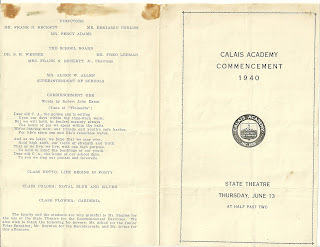 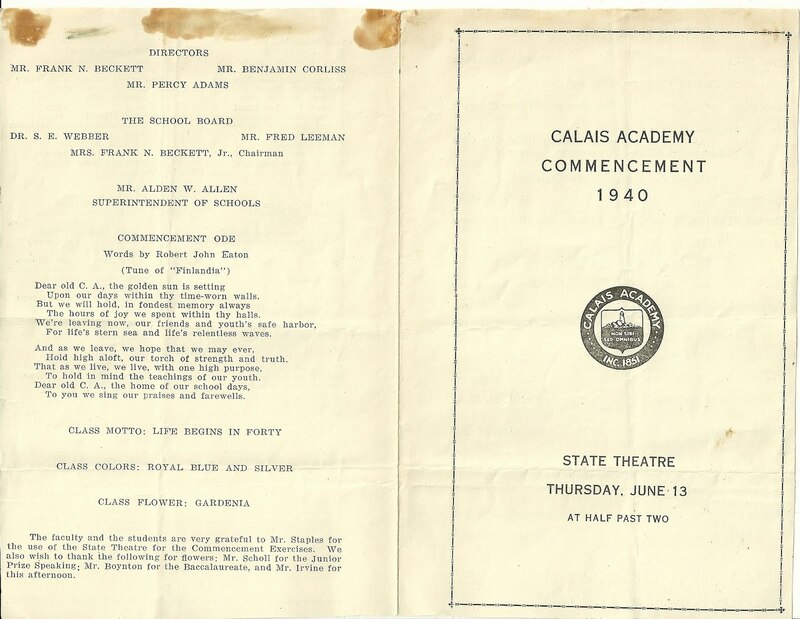 1940 Calais Academy Commencement, State Theatre, Thursday, June 13, at Half Past Two. 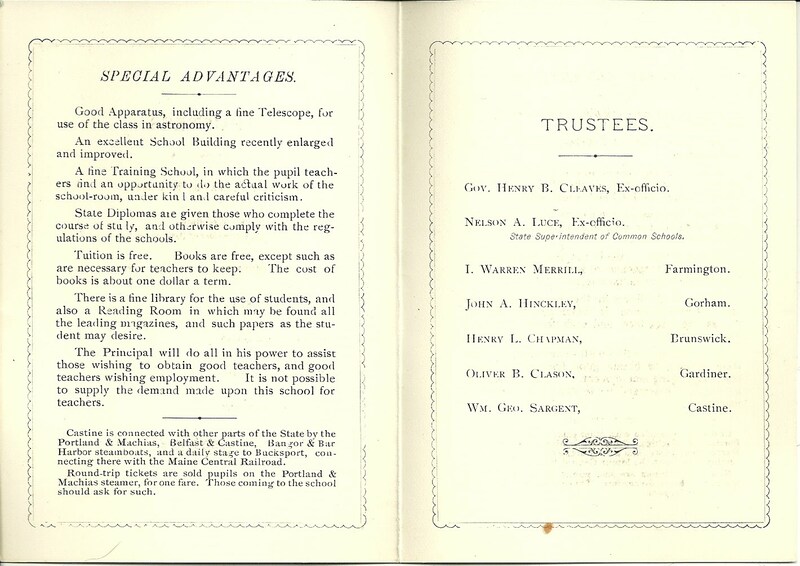 Many, many names recorded here. 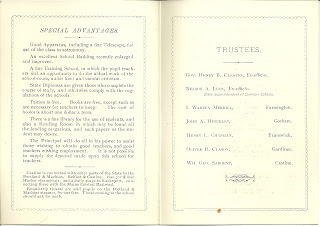 Richard Frost; Reverend Walter P. Lyons; Isabelle Firestone; Miss Marguerite Wilson; Henry Holland; Eleanor Armstrong Robinson; Laura Baker Jackman; Alfred G. Robyn; Robert John Eaton; Lois Katherine Brown; Patricia Marie Lord; Joan Mary Lovering; A. Joyce Hanson; Dr. W. N. Miner; Robert John Eaton; Reverend Ellis Holt; Phelan's Orchestra; Anita Clarke; Miss Mary Bates; Miss Phyllis Dimitre; Miss Elspeth Larner.